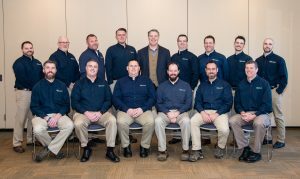 The Chad Borah Team Includes Nine Highly Qualified Home Inspectors, Two Sewer Inspectors, Two Gas Inspectors, and a Radon Technician. You can have confidence knowing that all our inspectors are continually upgrading their skills and staying abreast of new technologies. As members of The American Society of Home Inspectors (ASHI), every inspector is eminently qualified and E&O insured to provide you the best results possible. Kurt Bethel is originally from Chicago, but moved to Missouri when he was seven years old. He currently lives in Affton with his wife of 13 years and three children. Kurt has a degree in Communications and a Minor in Vocal Music performance. 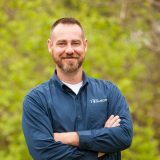 He started working for a high-end interior remodeling company, where he worked his way up to the role of project manager before joining The Chad Borah Team. Kurt is an avid sports fan, loves to travel, and is a talented musician. Rick Caby was born and raised in the St. Louis area. 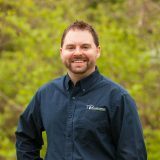 He started his career in landscape and design, then moved into construction and remodeling. He obtained a Business Management degree from Missouri Baptist University. Rick has been married for 14 years, and has three children and a very close extended family. He loves the outdoors and enjoys fishing, hunting, camping and ATV riding. Frank Dean currently lives in Moscow Mills with his wife. He has two sons, a daughter, and two granddaughters. Frank earned his degree in heating & cooling from Vatterott College. 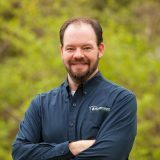 He has a wide history in the industry, including installing ductwork and equipment, as well as performing gas mechanical inspections. In his free time Frank enjoys traveling, camping, kayaking, and riding his motorcycles. Joe Docter was born and raised in St. Louis. He lives in Kirkwood with his wife of 13 years, and two children. Joe started his career in West Palm Beach Florida where he opened his own home remodeling company for high end homes. He started buying real estate and flipping homes before joining the Chad Borah Team. His main hobbies are barbecuing and cooking. Scott Goddard has lived in St. Louis for most of his life. 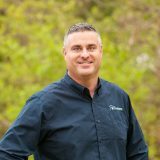 Before joining The Chad Borah Team, he owned and operated Goddard Home Interiors for nearly 15 years, which specialized in kitchen and bath remodeling. Scott is married and has two sons. Scott enjoys woodworking and always bringing fun to any event. Phil Howard grew up in South St. Louis City. He started tuck-pointing at a young age, then worked as a contractor before joining The Chad Borah Team. Phil has four children and two grandchildren. He enjoys building custom radios, traveling, and cooking. Phil takes inspecting homes seriously, but also has a great and infectious sense of humor. 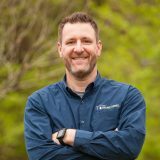 Dave Petlansky was born and raised in St. Louis City, and currently resides in South County with his wife of 19 years and three active children. 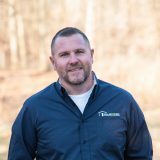 Before joining The Chad Borah Team, Dave was a journeyman plumber and has an extensive background in carpentry. Dave enjoys being involved in his children’s hockey, baseball, and dance competitions. Christopher Krisanic grew up in Brentwood and currently lives in Manchester with his wife of 22 years, and two teenage sons. 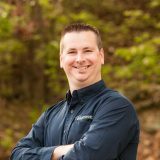 Chris worked in the building materials industry for 15 years before joining The Chad Borah Team. Chris enjoys camping, golfing, watching sports, and hanging out with friends. Chris is a proud Eagle Scout, and a huge Seahawks fan. Greg Wood moved to the St. Louis area in 1994 when his father was stationed at Scott Air Force Base. Greg also started his career in the Air Force and specialized in Security Forces before going into law enforcement. 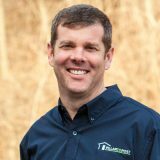 Prior to joining The Chad Borah team, Greg was employed as a termite inspector. When he is not at an event with his children, you can find him mountain biking or hiking. 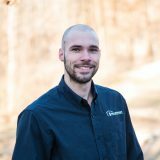 Mike Mertens graduated from Ranken Technical Institute in Architectural Design and Structural Technology. 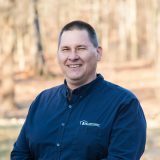 Prior to joining The Chad Borah Team, Mike spent 34 years drafting fountain designs, where he honed his skills in structural and electrical knowledge. His favorite pastimes are golf, stream trout fishing, and watching sports. Hank, a St. Louis native, is a Sewer Lateral Inspector who is full of enthusiasm. 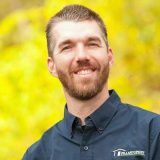 Being a third generation plumber with over a decade of providing sewer services gives Hank the experience needed to better help home buyers understand not only how the drainage system works but how to maintain it. Those that have had the pleasure of working with Hank before all notice the same thing, he’s always smiling. Hanks spends his free time traveling across the country camping and enjoying the company of friends. Brendan Barnes is from South St. Louis City. He graduated from the University of Missouri with a degree in Parks, Recreation, and Tourism with an emphasis in Sport Management. 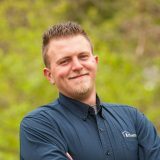 Brendon received his training to perform radon inspections from The Chad Borah Team. He enjoys being active and spending time with friends. Eddie Whiting has lived in St. Louis for over 20 years. He resides in Pevely with his wife and three children. 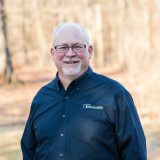 Eddie comes to The Chad Borah Team with over two decades of experience in new construction, remodeling and property restoration. Eddie enjoys hunting, fishing, boating and anything that has to do with the outdoors.